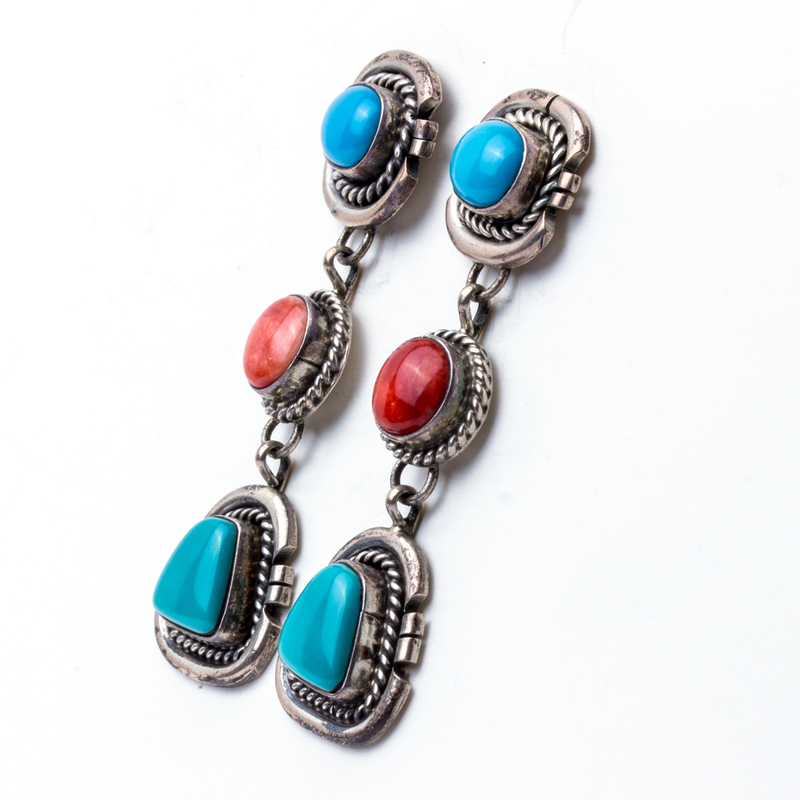 These stylish Sterling Silver dangle earrings are made by a gifted Navajo artist and portray two different types of blue Turquoise with a touch of deep red Spiny Oyster. 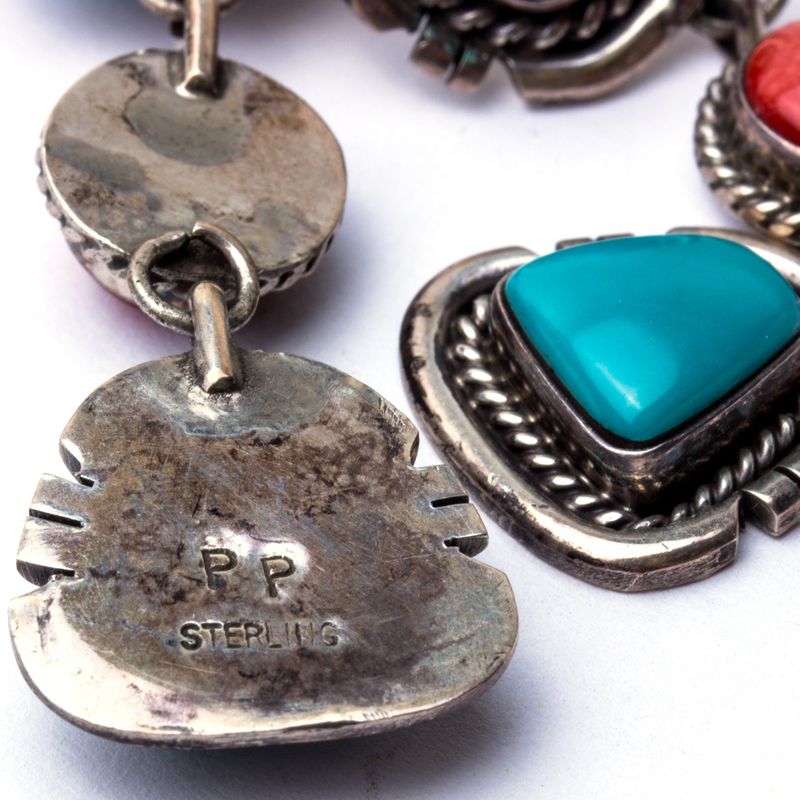 These earrings are hallmarked “PP” and”Sterling”. 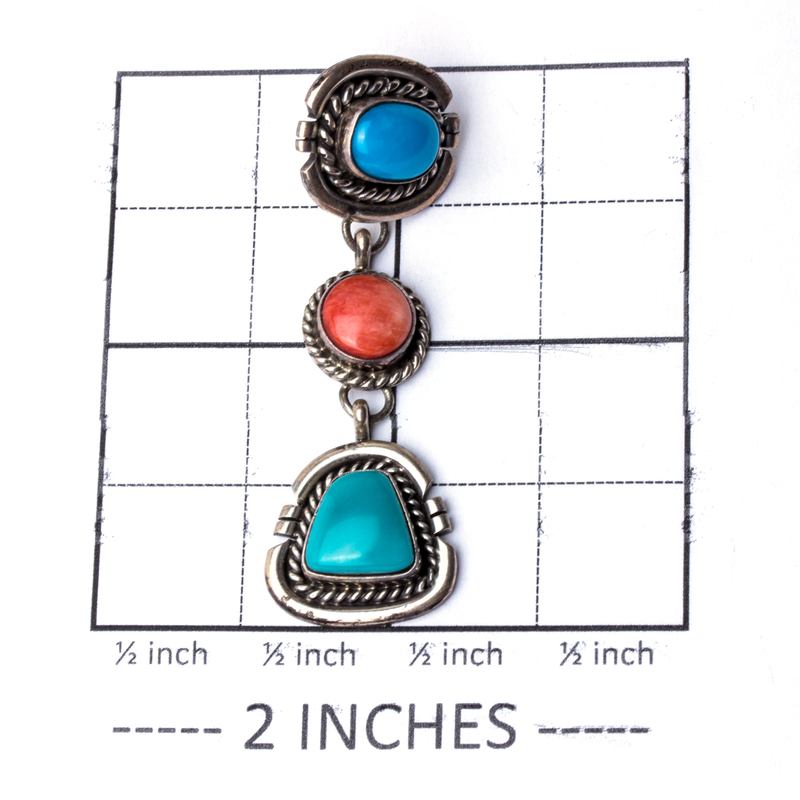 We offer complimentary gift wrap with purchase. Just ask! 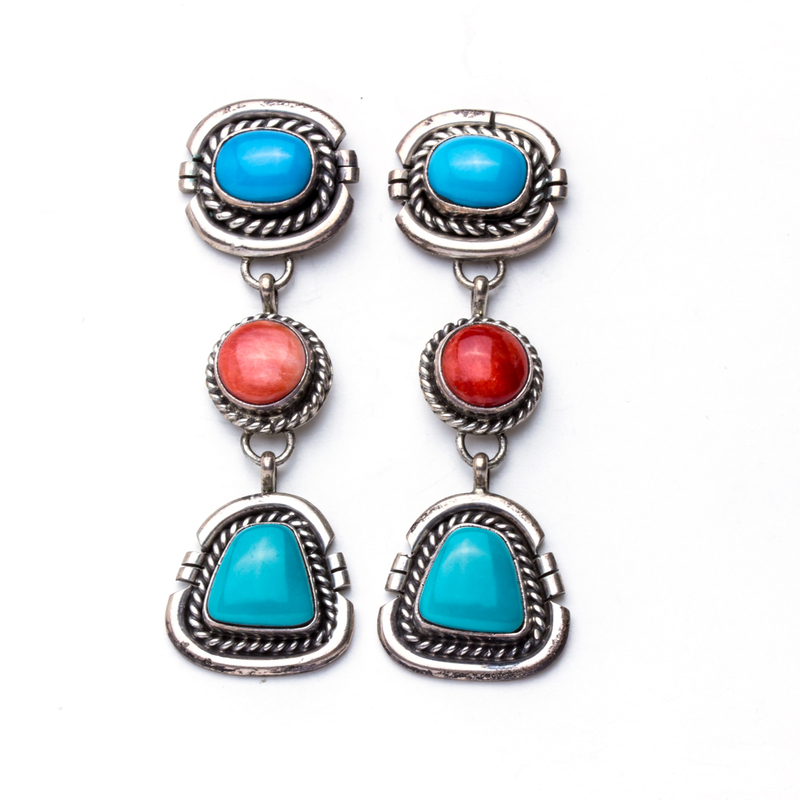 Navajo Artist PP Turquoise Earrings showcases deep blue Turquoise and red Spiny Oyster with shining Sterling Silver by a Native American artist.